We are looking for a candidate to fill the Project Coordinator position for a growing Microsoft Dynamics 365 Delivery Practice. Salary: Up to £35,000 p.a. 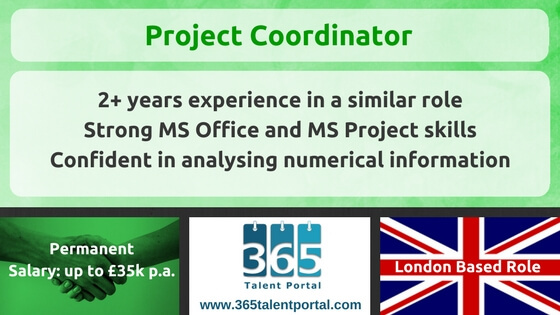 You will be working for one of the largest Microsoft Dynamics 365 partners in the world. Their consultants, developers and project managers specialise in delivering solutions based upon Microsoft Dynamics 365.